Far more than your alarm clock, what governs your wake-sleep cycle is the internal circadian clock regulating your whole body. This biological timekeeper also affects hunger, thirst, body temperature, mood, hormone fluctuations and more. Disturbances to the circadian rhythm, or to the genes that produce the rhythm, can cause problems from low productivity and insomnia to depression and diabetes. Some of the most common disturbances are night-shift work, artificial light and travel across time zones. 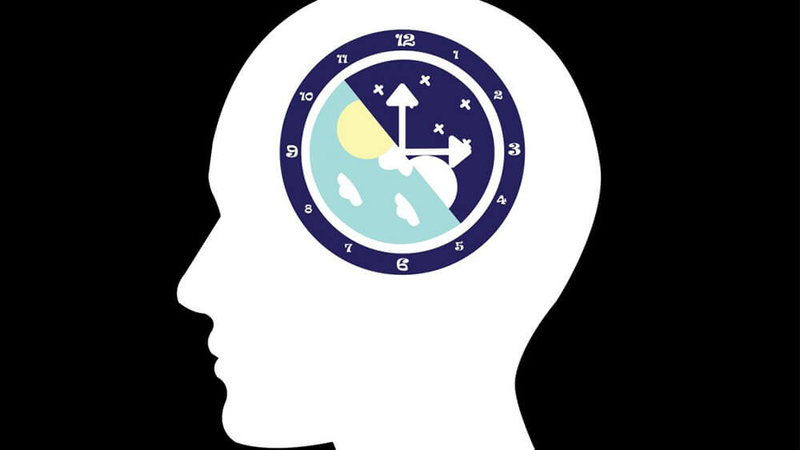 This is a hot topic in Israel and abroad due to the “extreme importance of the circadian clock on many different processes in neurobiology and metabolism,” says biology professor Guy Bloch from the Hebrew University Department of Ecology, Evolution, and Behavior. At least 10 Israeli research groups focus on chronobiology, the study of biological rhythms. “Compared to Israel’s size we have quite a lot of very diverse research on circadian rhythms,” Bloch tells ISRAEL21c. Here are some significant Israeli contributions to understanding how circadian rhythm affects the wellbeing of people, animals and even plants and microbes. Are you a night owl or morning lark? Why do some people jump out of bed early and others reach their peak of energy only after dark? 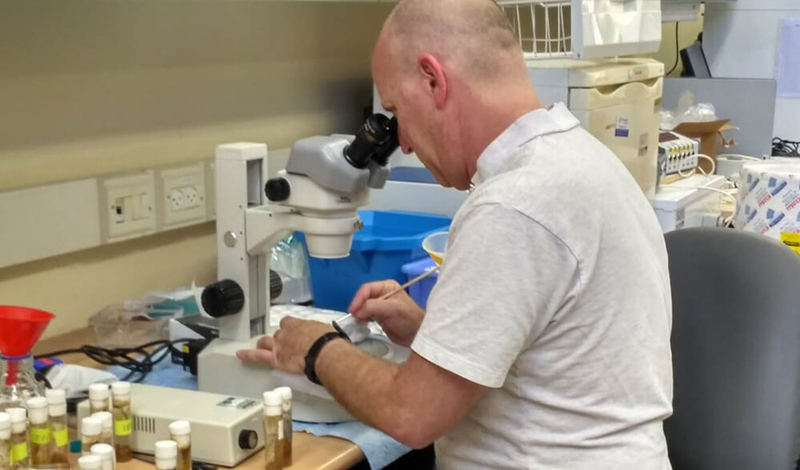 Eran Tauber, associate professor of genetics at the University of Haifa’s Institute of Evolution, studies the chronobiology of specially bred nocturnal and diurnal fruit flies to better understand the “lark” and “owl” phenomenon. The research has many potential applications, from adjusting schedules for night owls to adjusting medication for each patient’s biological clock. After finding differences in the bacterial composition of the gut microbiomes of nocturnal and diurnal fruit flies, Tauber is collaborating with a lab at the Technion-Israel Institute of Technology to check for similar differentiation in the human gut microbiome of self-identified larks and owls. If you synchronize mealtimes with your circadian rhythm you’ll get slimmer than if you eat the same type and amount of food without any schedule, regardless of whether the food is low-fat or high-fat. That’s one significant finding from the lab of Oren Froy, associate professor of neuroendocrinology and metabolism, and director of the Institute of Biochemistry, Food Science and Nutrition at the Hebrew University. Froy’s collaborative research has also shown better results if a weight-loss diet is structured with a large breakfast, medium-sized lunch and small dinner rather than a small breakfast and large dinner, even though the overall caloric intake is identical. In experiments relating to circadian rhythm and insulin resistance – a factor in both type 2 diabetes and polycystic ovary syndrome – a large breakfast and small dinner also was successful in reducing insulin resistance. Some test subjects with type 2 diabetes no longer needed to inject insulin and most test subjects with PCOS began ovulating normally after three cycles. Prof. Gad Asher’s biomolecular sciences lab at the Weizmann Institute of Science in Rehovot came to a similar conclusion from studying the accumulation of lipids in the livers of mice without a functioning body clock. When the researchers restricted feeding to nighttime hours, the mice showed a dramatic 50% decrease in overall liver triglyceride levels. In a different study, Asher’s lab found that adjusting oxygen concentration in the air effectively reset the circadian clocks of mice subjected to a six-hour jump ahead in daylight hours. This suggests that airlines theoretically could vanquish jetlag by moderating cabin air pressure. The circadian clock causes fluctuations in hormones and enzymes throughout the day. Because it’s impossible to take liver biopsies every few hours from a person, scientists rely on mouse studies to predict how those fluctuations affect our metabolism and the development of obesity, fatty liver disease and type 2 diabetes. However, mice are nocturnal and humans are diurnal, so our metabolisms have major differences and therefore mouse studies aren’t perfectly predictive. That problem now has a solution: a revolutionary organ-on-a-chip invented by Prof. Yaakov Nahmias, director of Hebrew University’s Grass Center for Bioengineering. The patented platform mimics the circadian rhythms of the human liver, heart, brain and kidney. 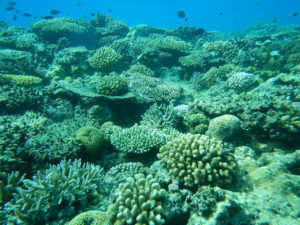 “We are providing services to pharma and cosmetic companies that send us their molecules. We can tell them how the product works with the circadian cycle,” Nahmias tells ISRAEL21c. The technology, licensed to Nahmias’ company Tissue Dynamics, can predict things like the best and worst times of day to take a drug, and how to control metabolism to overcome circadian rhythm disturbances such as night-shift work or travel. 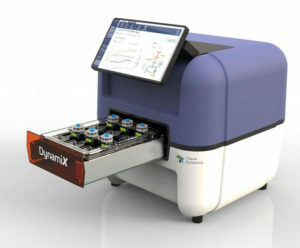 Tissue Dynamics has several contracts with L’Oreal R&D in France, which jointly published a paper with Nahmias’ lab last September in Lab on a Chip. The company won a ˆ50,000 grant to explore commercial possibilities of the platform, and is raising money to build a machine that labs can use to test drug candidates. Studying the interplay between social behavior and circadian rhythms in bees gives Guy Bloch new insights into social biology. His Hebrew University lab has shown that social signals are important time-givers for animal circadian clocks and that bees’ social interactions and division of labor actually synchronize their internal clocks. For example, they observed that the circadian rhythm of “nurse” bees switches off while they are providing around-the-clock newborn care. This may be how all mammals manage infant care. Since it’s easier to extract the “clock machinery” from bees’ brains than from mammalian brains, Bloch’s bee research provides clues as to how switching off or changing circadian rhythm might lead to better health and productivity. “The clock genes in humans and bees are essentially the same. If we understand the mechanism we may be able to use the bee model to guide research in people,” says Bloch. In 2017, Bloch and HUJ researcher Rachel Green published “Time is Honey,” showing how the interactions of the circadian clocks of bees and flowers – studied in the Jerusalem Botanical Gardens — affect the processes of pollination and flowering, which are critical to crop production and conservation. Stem cells in the bone marrow follow daily cycles of light and darkness, according to a study published by immunology and biological regulation researchers at the Weizmann Institute in collaboration with colleagues in Brazil and Canada. Adjusting the timing of stem-cell harvesting to these daily cycles may boost the success of bone-marrow transplants. In studies with mice, Karin Golan and Tsvee Lapidot discovered that stem-cell production peaks at 11am and 11pm. During the daylight peak, more differentiated stem cells are produced, while during the darkness peak more undifferentiated stem cells are produced. Undifferentiated cells from the nighttime peak were doubly efficient in reconstituting the marrow of mice than were cells collected during the morning peak. The scientists were able to reverse the peaks with melatonin treatment, suggesting that in human patients it might be possible to increase transplantation success by pretreating bone marrow donors with melatonin or other circadian regulators. Melatonin is a hormone secreted only at night, yet it signals nocturnal species to wake up and signals diurnal species (like us) to go to sleep, says Prof. Noga Kronfeld-Schor, chair of the Tel Aviv University School of Zoology and head of its Ecological and Evolutionary Physiology Laboratory. “The biological clock is the same in nocturnal and diurnal animals but is translated in the opposite way,” she tells ISRAEL21c. Schor and international collaborators study the relationship between circadian rhythm and disorders, such as depression and diabetes, using sand rats because they are diurnal like people. “Because we eat during the day, insulin should be produced during the day and glucose at night; everything has to be done at the right time. If you disrupt or de-synch the clock by working night shifts or eating at night it disrupts that homeostasis,” she says. Light pollution also messes up the circadian clock. “The system relies on the reliability of daylight to synchronize our bodies to the day-night cycle and to seasonal changes, but since we use artificial light the signals aren’t reliable anymore,” she explains. Her lab is experimenting with different light spectrums and intensities at night to reduce artificial light’s harmful effects on various species. 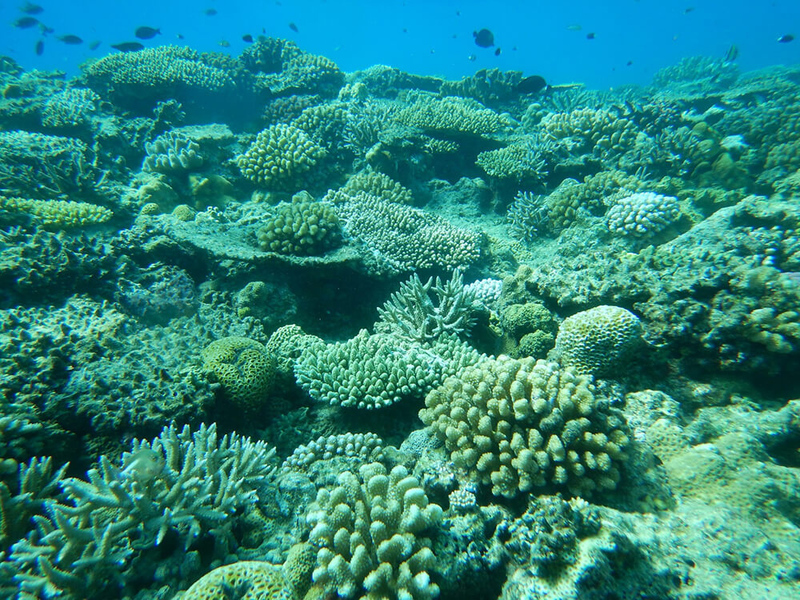 Prof. Oren Levy of Bar-Ilan University’s Intermarine Institute discovered two photoreceptor genes called cryptochromes that synchronize spawning in corals and other marine organisms. Light pollution confuses the synchronization. “We think that when these animals cannot see the moonlight because of artificial light at night, they don’t experience normal day-night cycles and it affects their physiology and probably their spawning mechanism,” Levy tells ISRAEL21c. But it’s not only light-sensitive organisms that have circadian rhythms. A 2016 study from the labs of Weizmann Institute computational biologist Eran Segal and immunology researcher Eran Elinav showed that even gut bacteria display circadian rhythmicity. Wiping out mice’s gut bacteria with antibiotics eliminated normal toxicity fluctuations in their livers. “The implication is that we should also be considering the activity of bacteria in relation to when we take drugs,” Segal said.